Enter the Project Grow Challenge presented by Entrepreneur and Canon USA for a chance to win up to $25,000 in funding for your business. Deadline is Sept. 15 2015. The beauty of living in the digital age is that we have constant access to information right at our fingertips. If you want to learn about a bike tour in San Francisco or a new recipe for your anniversary dinner, Google and other search engines make it easy to find these queries with the click of a mouse. Google is also the source of truth for your personal brand. If a potential employer were to Google your name, do you know what would populate the first page of the search engines? Pew Research conducted a survey and found that 56 percent of Internet users have used a search engine to look up their own name to see what information about them is available online. People can learn about your personal information in a heartbeat. Whether it is a potential employer researching your published articles or a blind date fact-checking your job status, the first page of Google serves as a platform to show off your personal brand. Monster.com pointed out that 77 percent of executives use search engines to learn about candidates. What populates the first page of Google can improve your personal and professional appearance. Make sure you are in control of your self-image on Google. You can take proactive measures to stand out among the competition and improve your personal brand on the first page of your search results. 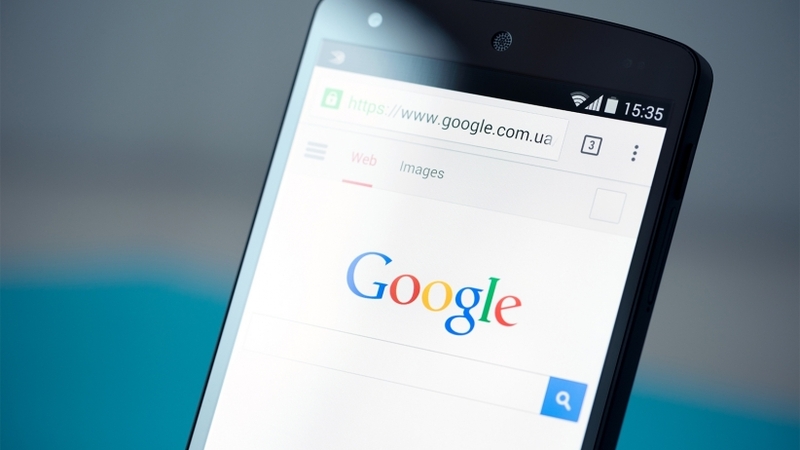 Why it is crucial to populate Google in a positive light. InternetLiveStats.com points out that Google now processes more than 40,000 search queries a second on average, which translates to more than 3.5 billion searches per day and 1.2 trillion searches per year worldwide. If you are a business owner and you receive negative publicity, if the first thing that appears on Google’s search results is articles about a lawsuit or negative reviews, this is detrimental to your overall image. Marketingland.com points out that 90 percent of customers say buying decisions are influenced by online reviews. You better believe that a negative article or social-media post could influence a potential employer or a potential client. Don’t wait for a negative post to be published before you start worrying about your personal brand on Google. If you want to be in control of your personal brand, there are seven important steps you can take to improve your online image. Jub-Hunt.org recommends making self Googling a routine practice. Before getting started with proactive measures, it is vital to research what populates in the first 50 results for your name. If you have a common name like “John Smith”, use longer-tail keywords to include your company name and industry so you can see information specific to you. Your Tweet from 2010 after a long night out at the bars could appear on the first page of Google, especially after Twitter and Google have teamed up to bring Tweets to Google’s search results. Even if the joke you sent out in 140 characters was funny at the time, you definitely would not want a potential employer to see it. Your social-media posts could come back to haunt you. Make sure to delete any posts that could be perceived as negative. If your client is a big supporter of Donald Trump, it might not be wise to bash the man on Twitter during business hours. 2. Create your own website. Building a website is one of the best ways to show off your professional and personal accomplishments. Selecting a domain name with your first and last name included is a great way to ensure this populates on the first page of Google. When purchasing your domain name, try to get obtain a website URL that is close to your full name. It might be impossible to snag “JohnSmith.com,” but you can try to include your middle name or your industry of interest. Information on your website can be updated constantly to reflect new projects, promotions and other vital business information. Google owns YouTube. If you were curious why videos populate so often to the first page of Google, there is synergy between the video search engine and the website search engine. According to Marketland.com, 62 percent of Google universal searches include video. If a picture is worth a thousand words, a video is worth a million. Take the time to write a script for a 60-second commercial about you. If you create a video talking about your interests, family life, business skill set and background information, not only can this populate onto the first page of Google, it will show off your personality and separate you from the competition. Don’t film this video on a shaky iPhone though. Be sure to invest in a quality production setup. If the video comes out cheap, you will be perceived as cheap. 4. Optimize your social channels. We mentioned earlier that old, inappropriate Tweets could come back to haunt you. But at the same time, your social-media channels could be a tremendous asset. Your personal Facebook, Twitter, LinkedIn and even Google+ accounts have a strong likelihood of appearing in a prominent position on Google’s search results for your name. This is because all of these sites are extremely powerful, so when you tie your personal information into an account, this carries a lot of weight to Google – especially if you have a large following. If you are an entrepreneur, create an awesome Google+ page like Gary Vaynerchuk, the Internet personality. You can see when you Google his name, his Google+ profile is hard to miss on the right hand side of Google. It amazes me how many people have a wealth of information about their industry and are true experts within their field, yet they don’t share this knowledge with more people. If you are a dentist and can teach people the proper way to brush their teeth, why not share your expertise outside of your office? The Internet offers a place for the world to see your content. A local dentist can be known nationwide within the entire dental industry if they were to write articles for a site like DentistryIQ.com. Not to mention, articles written on powerful sites could be the first results to appear on Google. There is no shame in asking someone to leave a review on your LinkedIn page or asking them for a testimonial that can later be posted onto your personal website. You can even ask your professional references if they would be willing to record a video testimonial. Regardless of how you want to distribute these reviews, they will shed a positive light on your self-brand, professionally and personally. If you stay on the offensive and are proactive with your personal brand, you can remain in control of the majority of what populates on the first page of Google. When you have an outgoing personality, people are excited to get to know you. Likewise, when you improve your self-brand, people will be equally impressed with your online personality. A video, your website and testimonials can be the first results to populate on Google for years to come. This self-branding initiative is a worthwhile investment that many of your peers are missing.